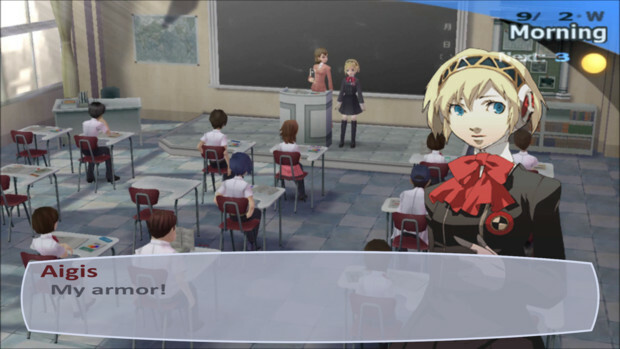 If there's one thing I love, it's the Persona series. But if there's another thing I love, it's the rest of the Megami Tensei series. Granted, my experience with the series is a pretty big blank between SMTII and III, and that's a whole lot of games to have missed out on, but I truly do love the series despite never having played any of the spin-offs that weren't Persona, or Imagine, or Digital Devil Saga. Anyway. I'm a huge fan of the art in Atlus games in general though, Soejima's work just as much as Kaneko's. 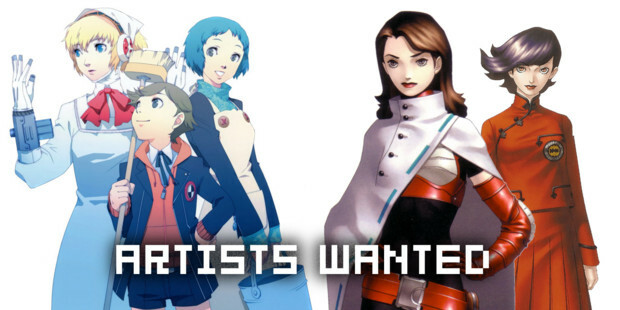 And that's sort of what this artists wanted entry is all about, my love for those two artist's work and my love for Persona 3. 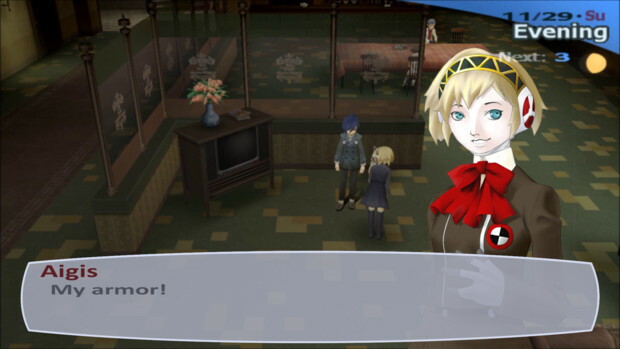 Persona 3 is about the closest thing I can think of to a perfect game, and Shigenori Soejima's character designs and art in the game has a lot to do with that. But I really like Kazuma Kaneko's art as well. It's just so awesomely dark and creepy looking. It's the reason I became interested in the Megami Tensei series in the first place. 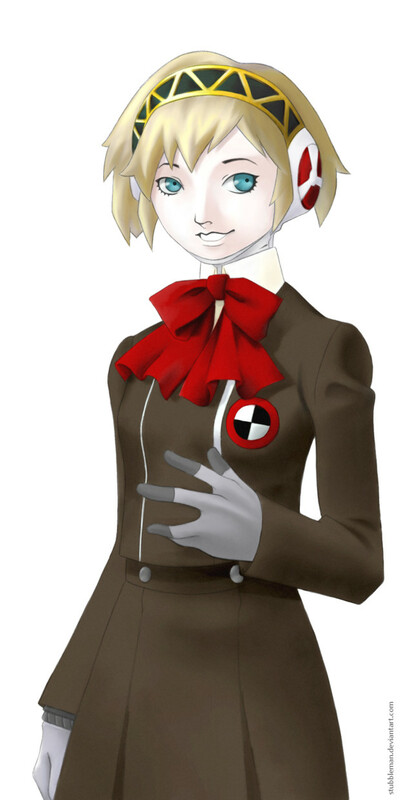 So I had this weird idea that I would try re-illustrating one of my favorite characters from Persona 3, Aigis in this case, in an impersonation of Kaneko's art style. So that's like four things that I love all lumped into one drawing right there. Now, you will have to excuse how poor the coloring is on this picture. I did what I could to imitate Kaneko's coloring style, but it just didn't quite work out. I'm not, strictly speaking, that good at coloring things in the first place, and I'm by no means a painter. I do a lot better with line work. So this picture really shows a lot of my weaknesses as a would-be artist. So I figured it would be a good idea if I included a line only version for you to look at here as well, which I think does a slightly better job of looking like Kaneko's work without the coloring in the way to distract. This little project was as much a learning experience as it was a labor of love. You can become superficially familiar with an artist's foibles and idiosyncrasies just by looking at their work often enough. But to actually apply those same idiosyncrasies requires a fair amount of studying and a bit of flexibility. Probably the part that kept me held up the longest outside of my terrible coloring was the mouth. Kaneko has a very distinct way of drawing mouths. He draws them in elongated saw-tooth shaped lines for the top lip with very thick, bold lines. Now, if I had picked a closed-mouth picture for reference, then maybe it would have been a bit easier, but getting a mouth that fit the original image and fit the new style required a lot of staring at reference pictures and a lot of sketching to get it the way I wanted it. Which ended up working pretty well because they're very pretty reference pictures. The second biggest trick was probably the hair. Kaneko has a handful of different ways of drawing hair, and I was left at an impasse on what style to try and adapt for Aigis' hair. 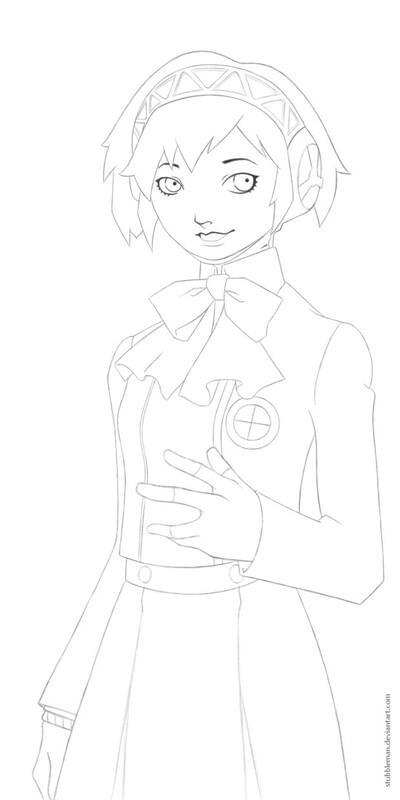 My final decision was that the character portrait for Aigis has fairly thick-clumped hair compared to Soejima's other drawings of Aigis, so I decided I should go for something like the DemiFeind's hair in Nocturne. Anyway, I should probably wrap this thing up. 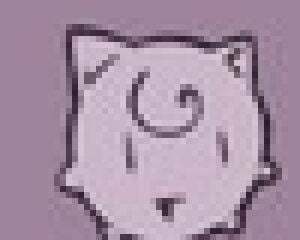 So that's my artist's wanted. I hope you all enjoyed it at least a little bit. I put a lot of love into it.